I waited until 12:01, announced that my son lost, and went out and got the package. I remembered the whole "I never lie to my wife" rule of mine which has served me so well and just bit the bullet and explained my plan to her. She'd known we'd received a package already since she set up the amazon account to notify her of package shipment/arrivals and had checked her phone that morning. (We all share the same Amazon account) I did well not to try anything stupid. She's fine with it, so long as I don't do anything more like it for a while. 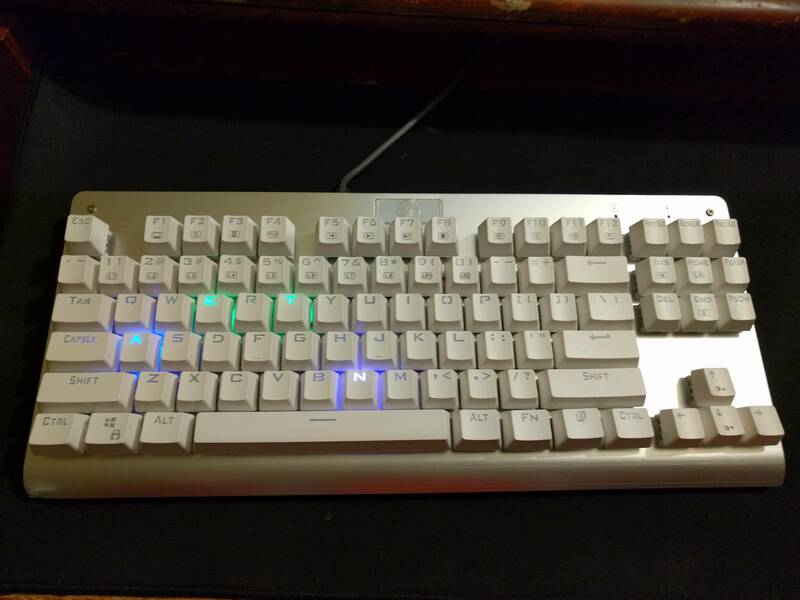 I've been using it all day and it is nice, but I'd like it a lot better with o-rings on it and I think I really prefer the browns over the reds for switches. Just a preference thing. The lighting control on this thing is insane with all sorts of flashing effects and features, which is fun to play with but distracting as hell for day to day. I do like how you can set the background colors to any shade even using red/blue/green values to get it exactly so. I let my son try it, and he's totally in love. He says the keys feel even better than his last board and while he agrees most of the effects are neat but stupid, the ability to pick the shade and intensity of the keys is pretty cool. Plus if he really wants to go nuts he can set every individual key to a separate colour, but I find that also just sort of annoying. 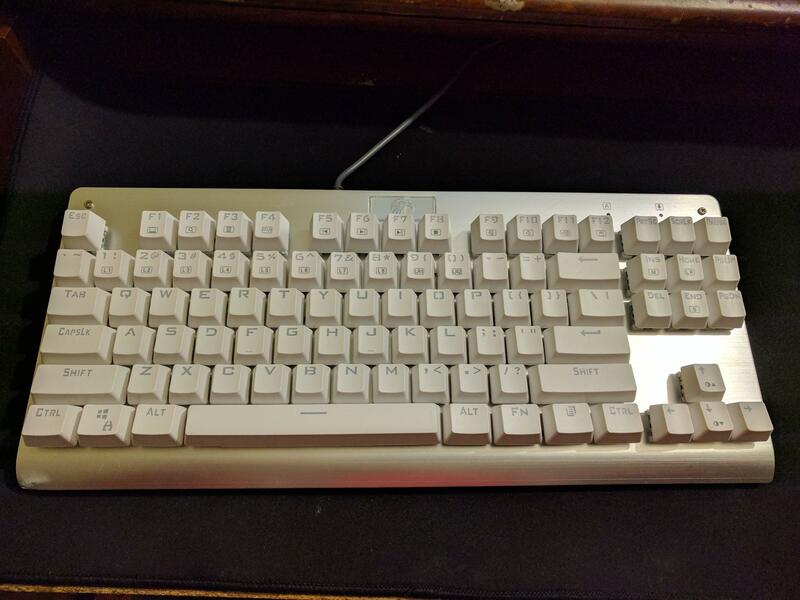 A nice keyboard with the wrong switches for me, but I do look forward to having mine back and my son to quit bitching at me for frying out his keyboard. He woke me up before 7am and asked me if he could swap keyboards! He's in love with his and damn it mine just feels natural under my fingers again, it feels soooo good to get my keyboard back!!! Oh, I guess he likes his too...I'm still just thrilling at the feel of my fingers on my keys again. I never lie to my wife"
Mrs digi "does this dress make me look fat"
digi "it's not the dress"
Heh, if a woman has a problem with that, then she's not the woman for me. Just like everything else in life, I like people that are comfortable with themselves. so my d key crapped out on my old keyboard, the rubber bubble thing underneath it was torn. 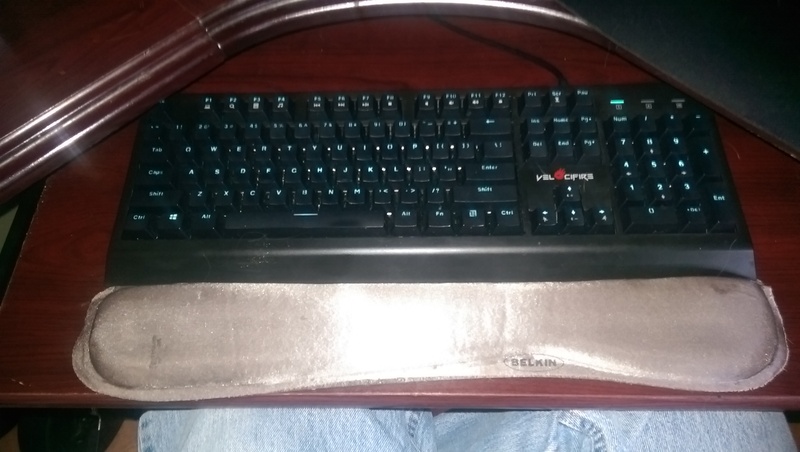 so i went on amazon and i got this mechanical eagle keyboard, its a bit noisier than i had expected but i think i can get used to it. i always thought the mechanical keyboard craze was kinda silly but i think i get it now, this is nice! Cyan, Lightman and digitalwanderer like this. ps: is it made of metal ? I'm betting lighting presets and controls using the function key. And on the "never lie to my wife" bit I do mean I don't lie about anything important or even maybe important, not that I'm undiplomatic. Remember, I kept a cat here for 4 days without her knowing about it after she told me not to get it and I did it entirely without lying...you just have to be very, very careful with the truth. "So what happened to that cat you went to see that your father found? ", she asked when I was on the phone with my dad. I asked him, and he was confused since he knew damn well it came home with me the day before, and I turned to her and said, "He found it a good home! ", then went back to talking to him. That's the closest I've came in a looong time to lying to her, but as I pointed out to her later when she was furious about the whole 'bringing home the cat when I told you not to and then lying to me about it' I did NOT technically lie to her...I was just very, very selective with my truths. She even admitted it was good in an evil kind of way, and is now just a little more careful in listening to what I say and more importantly what I don't say. I'm honest but not suicidal dude. Kej, hoom, Lightman and 1 other person like this. Are you friend with or is your mentor a guy called Obi Wan Kenobi ? No, isn't that the guy from Star Trek? EDITED BITS: When you're a alcoholic/drug user/bum for 10 years you get really, REALLY good at lying or convincing people of things. I'm not proud of the skill, but I definitely have it. I try and rationalize it by only using my evil powers for good purposes, but my morals are pretty situationally dependent at times I'll freely admit. There is a great happiness in the successful repair of the wristrest, but having my own keyboard back is just too fantastic to describe. It all feels natural and right again, SOO GOOD!!!! Cyan, Silent_Buddha, Lightman and 2 others like this. If you are on a budget like me and you are looking for a great not expensive keyboard, there is at least one example in the video of the kind of keyboard you might want. Plus it is cherry blue, which are my favourite. digitalwanderer and Lightman like this. Seeing you making your own keybaords, I am wondering if there is a better layout for C++. I suppose all of the advanced baords can be remapped fully. I'm pretty sure parenthesis comes up more frequent than some of the characters, definetly on my job. I hate that I have more than 50% shift-time when writing some of the more complex expressions. How about a stupid idea like adding a fifth row between characters and numbers, or kill the whole number row and rely only on the num-pad.? Or have a toggle for the number-line possibly. 5-row and no number row boards both exist, and fully remapping for more efficient symbol entry when programming is a given. 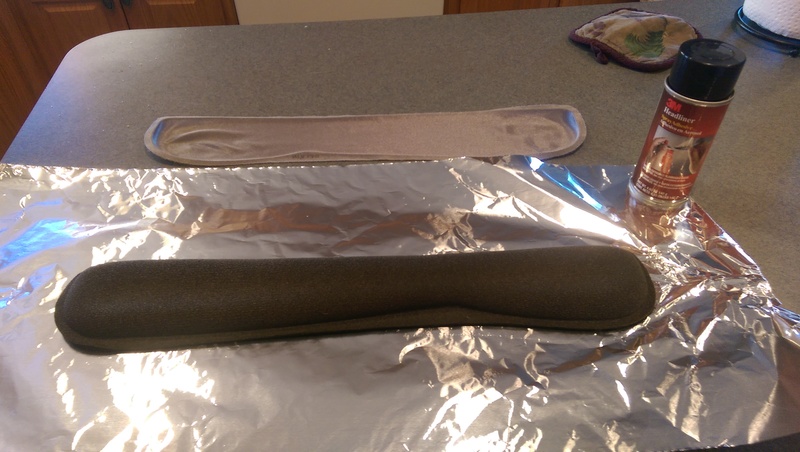 The issue is retraining yourself and overcoming years of muscle memory. That's the number one reason I haven't switched fully to a more specialised board or layout. I've always thought that a foot pedal for Ctrl and Shift would be a great idea. Lightman and Ethatron like this. Here is my custom keyboard. 75% layout with a Winkeyless board, Gateron black switches, a "skeleton" chassis and OG replica Cherry PBT caps. The three random caps in the bottom right are getting replaced soon with two 1.5x caps when I get around to re-soldering the switches. snarfbot and Silent_Buddha like this. I bought a Razer mechanical keyboard some years ago (to match the Razer Mouse), Razer Blackwidow Ultimate + Deathadder 2013. Switches are Cherry MX Blue, still holds up amazingly well after 4 years, very impressed. Next keyboard I buy when this one dies will definitely be mechanical. Yeah, my current mechanical keyboard is going on 6 or 7 years now. I want to replace it since it's kind of old. But I can't think of a valid reason other than it's kind of old. And that isn't a fiscally responsible reason for replacing it. I think I'm going to spring for a buckling spring keyboard soon, however. Then I'll do side by side comparisons to see whether to use it over my cherry mx brown keyboard. Thinking back to that 10 year period (~1994 to 2004) where I used rubber dome keyboards makes me sad. After that I switched to using scissor switch based keyboards (mostly Logitech) until around 2010. And now I'm back to a more proper mechanical keyboard. 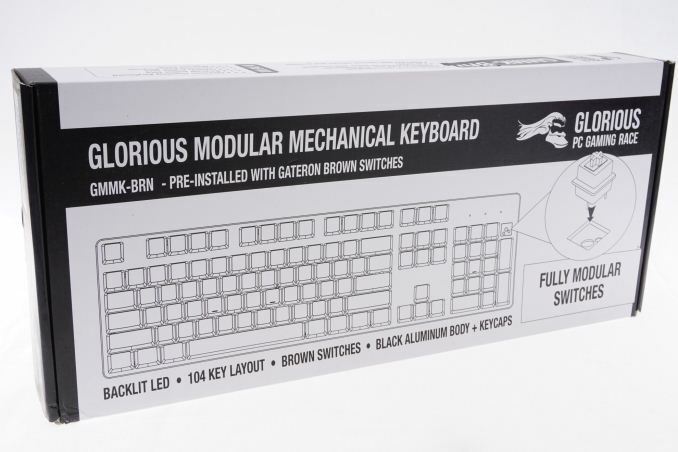 I'll soon find out whether my memory is overly fond of buckling spring switches or whether my memory is correct that it really was better even than the Cherry MX switches. I remember making the switch back then from buckling spring keyboards mostly because rubber dome keyboards were much quieter even if they were mushy feeling.